The President of India, Shri Pranab Mukherjee will visit Andhra Pradesh (Visakhapatnam) from February 5 to 7, 2016 where he will witness the International Fleet Review-2016 on February 6, 2016. The President of India as the Supreme Commander of the Armed Forces reviews the Indian Naval Fleet once in his/her term as part of the ‘President’s Fleet Review’. This review aims at assuring the country of the Indian Navy’s preparedness, high morale and discipline. The International Fleet Review allows the host nation an occasion to display its maritime capabilities and the ‘bridges of friendship’ it has built with other maritime nations. The last International Fleet Review was conducted in January 2001, off Mumbai with participation from 29 countries. The International Fleet Review- 2016 will be done at a much larger scale than ever done before. It will witness participation from 50 countries. 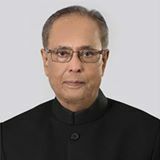 The President of India, Shri Pranab Mukherjee will deliver the 54th Convocation address of Indian Agriculture Research Institute (IARI), Pusa, New Delhi tomorrow(February 5, 2016). The President of India, Shri Pranab Mukherjee has extended his greetings and good wishes to all the officers and men of National Disaster Response Force (NDRF) on the eve of its 11th Raising Day on February 5, 2016. In a message, the President has said, “I am happy to learn that the National Disaster Response Force (NDRF) is celebrating its 11th Raising Day on February 5, 2016. The NDRF has proved its mettle by saving thousand of precious lives during numerous disasters in the country and abroad. The timely response provided by the skilled and motivated responders of NDRF during the recent earthquake in Nepal and flood in Chennai is praiseworthy. The Force has created remarkable credibility and confidence amongst the countrymen by dint of its sheer hard work, professional conduct and humanitarian approach. I am confident that the men of this Force will continue to work with dedication, zeal and enthusiasm. I extend my greetings and good wishes to all the officers and men of this organization. I wish the NDRF a glorious future”.